Tova Younger is a former Angeleno who settled in Kiryat Sefer in 2004. Her new book, Hands-On How To’s for the Home & Heart, contains friendly and very practical advice of all types for the Jewish wife. When I was first living on my own, someone gave me a book, Where’s Mom Now That I Need Her: Surviving Away from Home. That cookbook/home repair/car repair/first aid/ and just about everything else manual got me through a lot of tough situations. Younger’s book is almost a Jewish version of that secular classic—chock full of basic information that every Jewish homemaker can benefit from. —Hands-On How To’s for the Home & Heart offers advice about everything from maintaining proper kavana (focus) to proper laundering; from how to make conversation with the relatives to whom we owe kavod (honor), to recipes for basics like beet salad and cornflake quiche. Younger’s book would make a terrific gift for seminary girls, the newly married, and even seasoned homemakers. 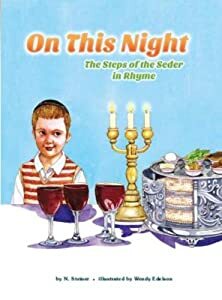 You can find it on discount right now at Jewish e-Books. Well-known Orthodox author Rachel Pomerantz frequently travels to SoCal to visit her brother and mother, who live near San Andreas. 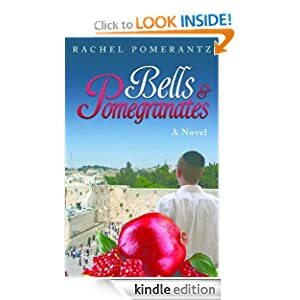 Her latest serial novelization, Bells & Pomegranates, follows the shidduch process of various characters (introduced in previous books), all of whom have life circumstances that present hurdles in their quest for a mate. There are step-siblings Yoel and Devora, who have been adopted, and the twins Rina and Gila, who converted as children and grew up in a single parent home. There’s foster child Ronny, whose mother is mentally ill, and Yossi, the child of baalei teshuva. Sarah’s got great yichus, but she’s an orphan. These characters and others start off the shidduch process with considerable challenges—but as the novel progresses, Pomerantz throws additional complications into their paths, lending drama and suspense to their intermingled stories. Bells & Pomegranates is more than kosher entertainment for a rainy afternoon. In describing the family dramas of her characters, Pomerantz invites us to question our own preferences and prejudices. How do my assumptions affect my judgment? How involved should parents and grandparents be in the shidduch process? What are legitimate reasons to call off a prospective match? These questions and others lingered with me after I finished the book. While a seasoned freelance author, Nancy Steiner is new to picture book writing. Her first kids’ title, On This Night, will likely prove to be a classic. In cheerful—but unforced—rhyme, Steiner leads readers through the steps of the seder. Her language is perfectly accessible for young readers and will prepare them for the Pesach experience. The darling illustrations by Wendy Edelson depict an adorable family celebrating their seder. Edelson portrays the family members from a variety of angles, adding to the visual interest. From the twinkly-eyed zeide to the drowsy preschooler on the final page, the pictures (and text) are sure to engage kids aged 2 to 6. L.A. resident Sarah Bunin Benor’s new book, Becoming Frum (Rutgers University Press 2012), considers the ways newly religious Jews adapt to the language of the mainstream Orthodox world. While an academic book rather than a religious one, Bunin Benor bases her conclusions largely on research conducted here in L.A., and her book will be of great interest of those engaged in the baalei teshuva phenomenon. I participated in her initial online survey, which piqued my interest in her work. I hope to write an entire post devoted to Bunin Benor’s book (and her spin-off website) soon. Love your book review writing style .And you picked wonderful books too! Kol hakavod! !